Through a mix of presentations and hands-on instruction, award-winning photographers Doug and Greg will help you on a daily basis to learn techniques such as metering and exposing complex scenes, fill-flash in the field, multiple flash lighting for natural and creative looks, composition in-camera, and digital post-processing. Group size is limited to 8 participants so we will provide plenty of personalized instruction. We'll be photographing an amazing array of bird subjects -- all in the wild! And we've added extra days to this trip, making it a great value for a first-class workshop tour. — Keith Bauer, professional nature photographer, multiple NANPA showcase honoree, and instructor from the USA. After an early breakfast, we check out and head to our first destination, a rainforest lodge where Greg has worked to set up a feeder that offers unparalleled opportunities to photograph Keel-billed Toucans, Chestnut-mandibled Toucans, and Brown-hooded Parrots among many other birds. We arrive at the lodge for lunch and set in immediately to photograph at the feeders! This evening, Greg and Doug will give a presentation on fill-flash for bird and wildlife photography. After breakfast, we depart and head toward the Pacific Coast lowlands, arriving at our hotel for lunch. After lunch, we'll take cover from the heat of the day and enjoy a post-processing session led by Doug. In the late afternoon we'll take a break from photography to do a little birding and photography to see some of the interestingspecies right on the lodge grounds. Today we head out on a private riverboat at sunrise. We'll be out on the Tarcoles River, where we'll have the chance for great shots of Tiger Herons, Magnificent Frigatebirds, Southern Lapwing, Turquoise-browed Motmot, Yellow-headed Caracara, American crocodiles, and a number of other great photo subjects. We return to our hotel for a late breakfast and then time to relax a bit. In the late afternoon, we'll head out again on our private boat to explore some different spots on the river and to look for different light angles on our subjects. We return to our hotel in the evening with time to relax after this busy day. After breakfast this morning, we head down the coast and then back up into the Talamanca Mountain Range en route to our last destination, the high cloud forests just on the Pacific side of the Continental Divide. On the way, we make a couple of stops. First, we stop for coffee and an early lunch at a small roadside restaurant with great home-cooked food and feeders that attract the speckled tanager and sometimes even the fiery-billed aracari. We continue and then spend the afternoon at a new highland feeder station run by a friend of Greg and Foto Verde Tours. 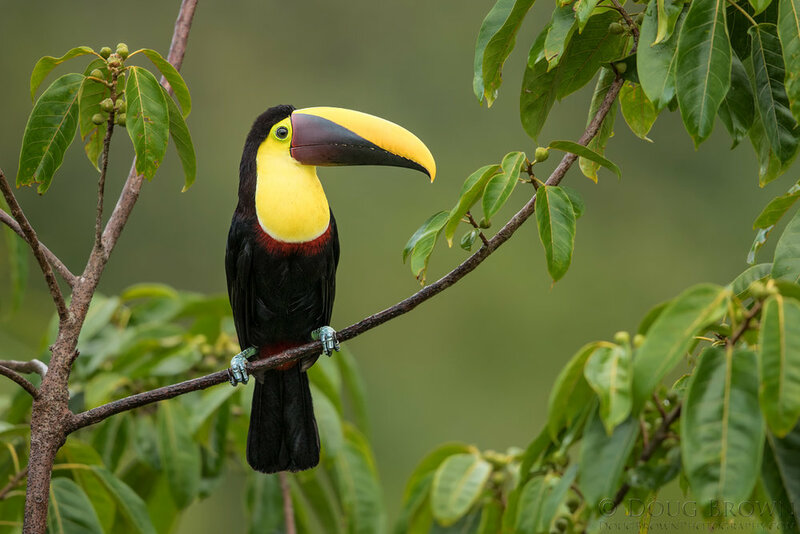 Foto Verde Tours provided some initial consulting, and the owner has turned it into a wonderful place to shoot silver-throated tanagers, yellow-thighed finch, flame-colored tanagers, and acorn woodpeckers. We arrive to our family-run lodge for dinner and then a good night's rest after this busy day! Before breakfast, we head out with the lodge owner to look for the Resplendent Quetzal, the Holy Grail for neotropical bird photographers. The lodge owner and his family have started a project to work with local farmers in the area to monitor and protect the Quetzal, and this network exponentially raises our probability of getting a good photographic look at this beautiful species. The rest of the day will be spent on multi-flash hummingbird photography at a private photo deck built by Foto Verde Tours together with the lodge. We'll photograph the fiery-throated hummingbird, magnificent hummingbird, lesser violet-ear, and volcano hummingbird on our custom setups. 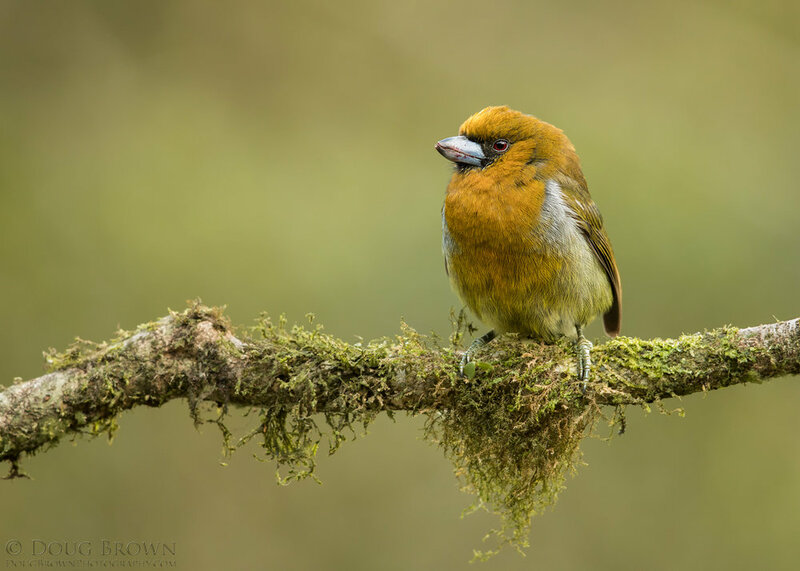 When not on the multi-flash setups, we'll have set ups where you can photograph mountain robin, rufous-collared sparrow, and large-footed finch. And right on the grounds of the lodge, we have a good chance to photography black and yellow silky flycatcher, long-tailed silky flycatcher, and golden-browed chlorophonia on native fruit trees. This morning we hunt for the quetzal again. After breakfast back at the lodge, we check out and head back toward San Jose but not without one more surprise – lunch at a local lodge that offers good looks at the beautiful magenta-throated woodstar hummingbird. We arrive to our capital city late afternoon. You'll have some time to get started on packing before we enjoy a farewell dinner in the hotel restaurant. Here we are at the completion of our first workshop together back in 2009 (Doug is on the left, and Greg is on the right). We both had a little more hair and a little less gray! Thank you for registering for the workshop. I'll be sending you an email shortly with additional information.